As reported by the RSSB, incidents at the platform train interface (PTI) account for almost half of the total passenger fatality risk on the mainline railway network. Attend the Platform Train Interfaces seminar to improve safety, accessibility and performance across your network. With increasing focus on accessibility for all passengers, learn about the latest engineering tools to improve this including gap fillers and platform extensions. Gain insight into the latest developments in door and rolling stock design to reduce the risk of accidents. Meet with platform train interface experts from rail operators, rolling stock manufacturers and solution providers. Who is responsible for the Platform Train Interface: the operators, rolling stock manufacturers or the regulator? What standards and guidance would be useful regarding train floor and platform heights? 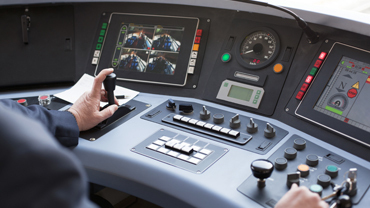 Can the rail industry afford perfect safety? Since 2009 Andrew has led the specification, operational design, transport strategy and route development of HS2, the £55bn British high speed rail programme. He was Principal Witness before Parliament for the first phase Bill. He chairs the International Railway Union (UIC) World High Speed Rail Committee and advises other Governments on HSR and allied transport policy. Prior to this he was Chief Engineer of Network Rail, accountable for overall safety and specification of the British rail network and chairing its investment committee. He chaired the EU Rail Research Council and the UIC Infrastructure Commission, and was vice chair of the EU Transport Advisory Group. This followed a rail engineering, operational and general management career which started in 1973. 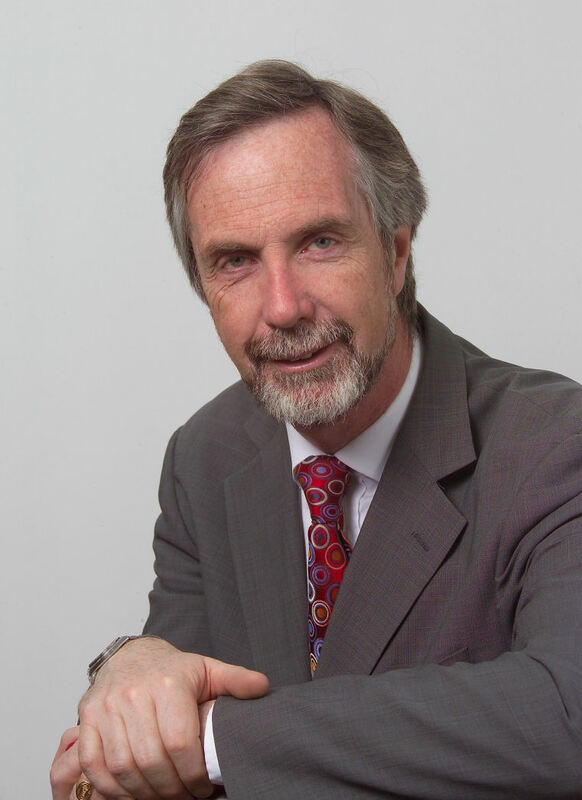 Andrew is an honorary professor of rail engineering at Nottingham University and a visiting professor of engineering at both Imperial College, London and Southampton University. 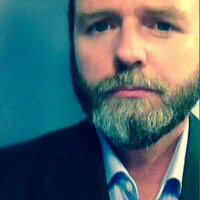 David Powell is a mechanical engineer with thirty years’ experience in the rail industry, working as a Project/Programme Director for the last twenty. 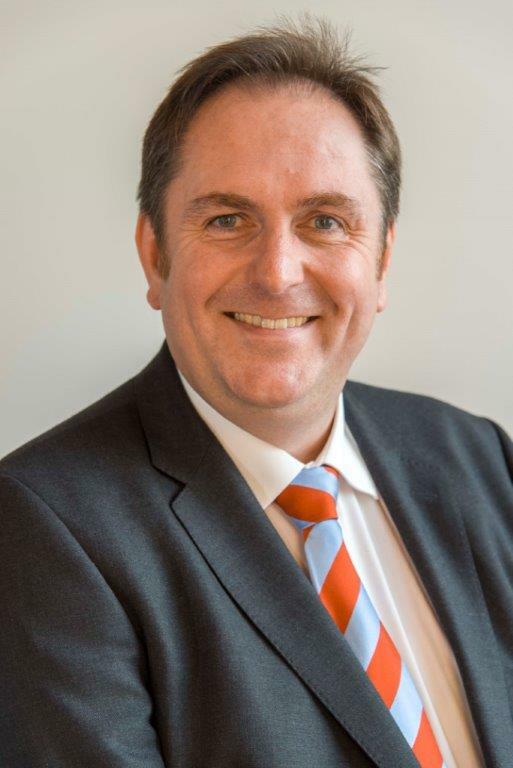 He is currently leading the replacement of the Merseyrail fleet and associated modernisation of the railway’s infrastructure, including the introduction of a pioneering approach to the platform train interface. David has previously undertaken similar roles for Manchester Metrolink and Phase 1 of Nottingham Express Tramway as well as working on a wide range of other rail projects in the UK and overseas. 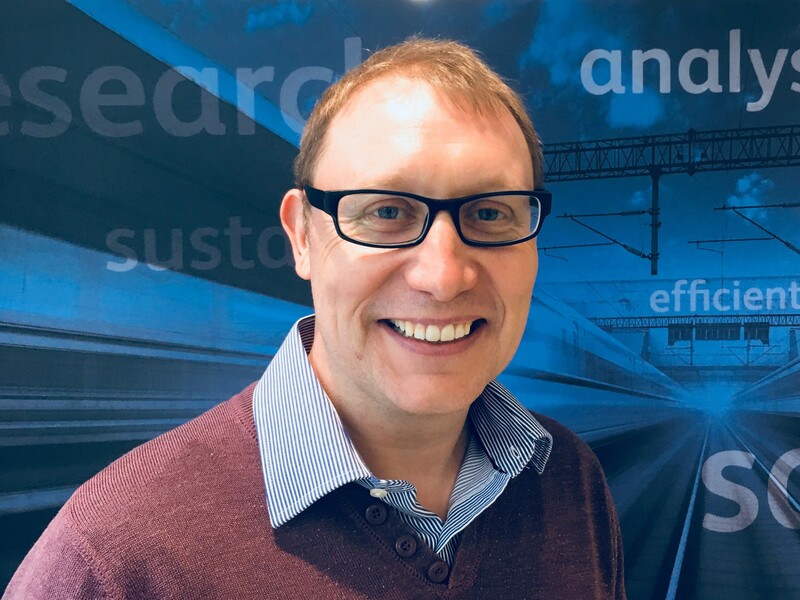 Frazer Scott is the Thameslink Programme (TLP) Systems Safety Manager for GTR, within the TLP Project Team, leading on the safety approvals and verification under the company’s SMS for the new Class 700 train and any associated infrastructure. Over the past 5 years he has ensured that the new Class 700 was safely introduced into passenger service on the Thameslink route through the company’s safety validation process, including the requirement for risk evaluation and assessment against the Common Safety Method, as well as numerous platform extensions, access-for-all station improvements and significant layout changes at key London stations. David Polhill joined British Rail in 1980 as a Technician Trainee and trained on the BREL Works in Derby and Shildon and at Cardiff Canton depot before a job in the drawing office. He studied for a degree in Engineering at this time and became a CEng in 1994. After further jobs at the Railway Technical Centre he moved to Bounds Green depot in London to help introduce the IC225 fleet. After privatisation he went to Railcare Wolverton involved in crash repairs, refurbishment and overhaul. In 2000 he went to Eurostar where I was involved in crash repair, refurbishment, mechanical systems train procurement and standardisation. After 13 years he moved to ATOC, now Rail Delivery Group, to work on standards: British, railway and European. He is the custodian of the industry’s Key Train Requirements document, for the previous three issues. Frank Foley started his career with Rolls-Royce, carrying out structural and mechanical design and analysis of offshore and dockside cranes. 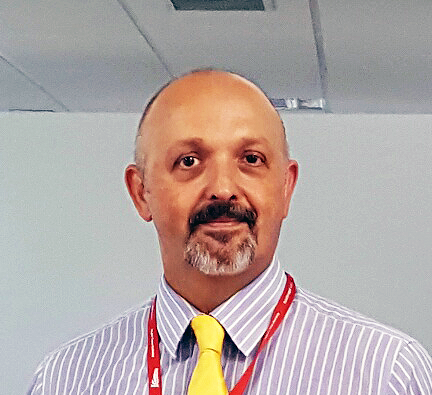 In 1997, he moved to the Jubilee Line Extension Project as an M&E site engineer, and progressed to become Assistant Supervising Engineer for a number of railway systems, including the Platform Edge Doors (PEDs). Subsequently, he joined Tubelines to manage the maintenance of the PEDs and the Signalling Control System. Following a move into Signalling with Invensys Rail Systems (previously Westinghouse Signals) in Chippenham, he led their successful bid for the Crossrail C620 Signalling and Control contract in consortium with Siemens, and carried through to lead delivery of the contract. In 2014, he joined CRL as Lead PSD Engineer at the tender evaluation and award stage, and hopes to remain through completion and handover. Clive Jackson is a career railwayman with over 35 years industry experience. This started with an Engineering Apprentice at British Rail in Crewe before he became a commuter, freight then high-speed Train Driver. He then moved into management roles and in 1997 was a founding partner of CCL Rail Limited becoming Managing Director in 2006. Clive has provided operational and safety consultancy to over 85% of UK train operators and worked overseas with the launch of Dubai Metro lines. He joined Serco Transport and in 2015 became their Global Head of Operations and Customer Service. In his time with Heathrow Express Clive has supported the decommissioning of the Old Oak Common depot and is now Interim Operations and Standards Manager. Zoë Dobell was the Project Engineer on the Victoria Line Door Chimes Project, conducting a 6-month trial into varying durations of door closure warning tones (or “chimes”). Prior to this, she conducted the feasibility studies into Rail Vehicle Accessible Regulations (RVAR) compliance on the Central, Bakerloo and Waterloo & City lines. Zoë Dobell is now a Systems Engineer on the Central Line Improvement Programme which, amongst accessibility improvements is also delivering a new AC traction system and train monitoring system. Justin Willett has enjoyed over 26 years on the railway in a variety of roles for a number of train operators in the South and Anglia regions. 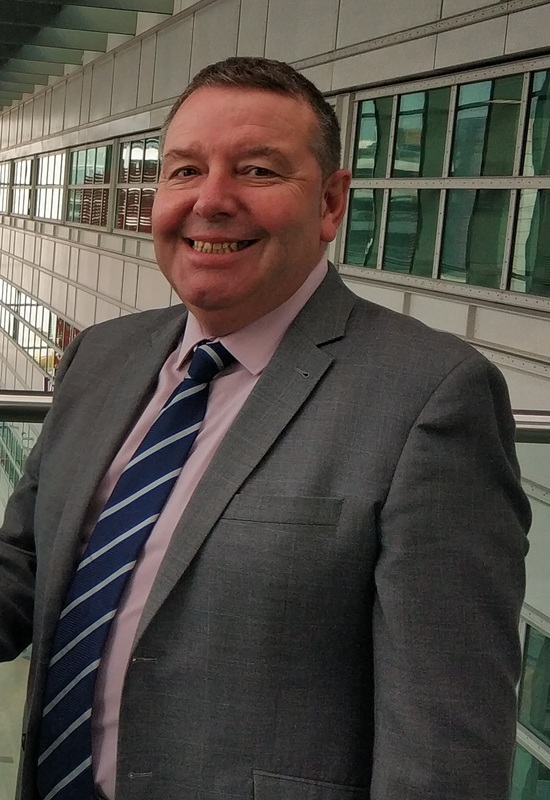 His roles have ranged from front line operations as a Train Driver back in 1992, through to Traincrew Management, Head of Driver Training, the Professional Head of Operations for South West Trains and now the Professional Lead for Ops and performance R&D at RSSB. During this time Justin has been lucky enough to have been involved and led activities for simulator procurement, the introduction of new trains, trade union negotiations, and the development and delivery of safety management systems. He is now in the fortunate position to support R&D in the area of Ops and Performance for industry through the portfolio at RSSB. 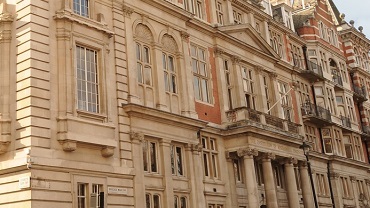 Paul Leach is a Lead Human Factors Specialist at RSSB and Chartered Occupational Psychologist. 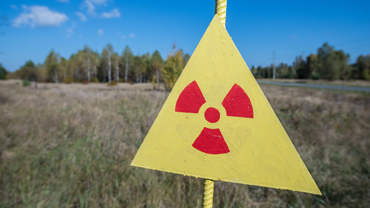 He has worked in human factors for 12 years across safety critical industries such as rail, nuclear, oil and gas, energy, defence and healthcare. His expertise covers a full range of Human Factors topics including Human Factors analysis, safety culture, non-technical skills, organisational change, leadership development, accident and incident investigation and competence management. 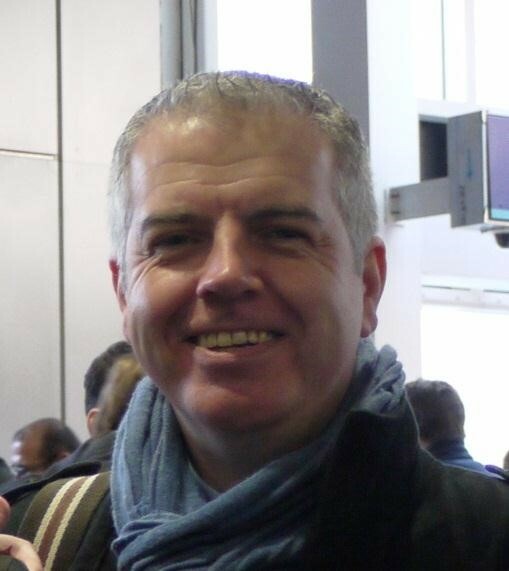 Paul was an author of the 2015 national strategy for the platform train interface, published by RSSB and was co-author for the Rail Industry Standard Passenger Train Dispatch and Platform Safety Measures. Jordan Smith has worked at RSSB for nearly 3 years and has worked in Human Factors for over 8 years. Jordan leads on musculoskeletal disorder (MSD) risk and is currently investigating Health by Design best practice for the rail industry. 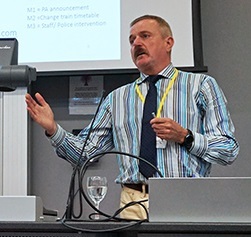 Other work streams include the classification of human performance and organisational factors in incident investigation, PTI focused research, user-focused development of operational and risk assessment tools and the evaluation of more immersive technologies in rail training. Jordan previously worked in the automotive industry investigating the ergonomics of seat design and occupant comfort, alongside which he completed his doctorate. Howard Parkinson is a Fellow of the Institution of Mechanical Engineers (IMechE) with a PhD in engineering from Manchester University. He has over 20 years railway experience from around the world. He is a director at Digital Rail Ltd and the Chairman of the IMechE Railway Division North Western Centre. At Digital Rail Ltd he is the lead on Autonomous Vision, Data Fusion and Intelligent Systems Engineering. He has been recently working on a Vision system for autonomously monitoring the Platform Train Interface to increase safety and reduce dwell time. David Thomas has worked in Network Rail since 2008, and with the Thameslink Programme since 2009. 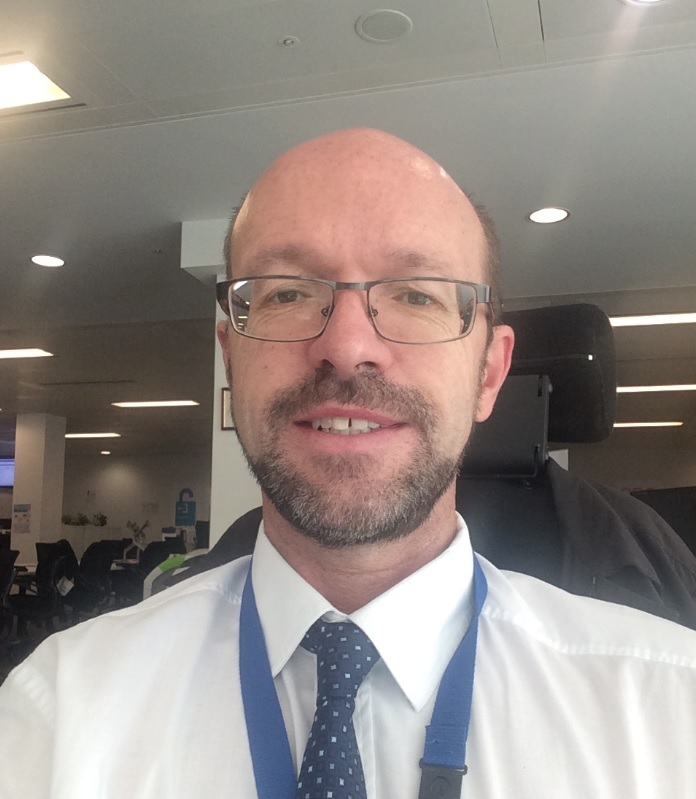 He is currently Lead Development Manager for the High Capacity Infrastructure project, which is responsible for delivering innovative infrastructure solutions to support the future capacity and station dwell times in Central London for the 24 trains per hour Thameslink timetable. This includes new signalling technology, operational support tools and station enhancements. Level access has proven one of the more challenging elements to deliver, and David is keen to share lessons from Thameslink experience to allow this type of solution to be rolled out more widely. Paul Bull is a railway civil engineer currently supporting the Thameslink Programme. He is the lead engineer for the introduction of platform ‘humps’ delivering PRM compliant stepping to the new Class 700 fleet at central London Thameslink stations. The provision of level access has been primarily aimed at reducing dwell times (by speeding up boarding and alighting of persons of reduced mobility) and introduces flexible ‘gap-fillers’ for the first time on a main line, mixed traffic route. 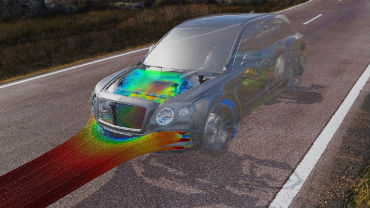 The gap-filler has been designed using probabilistic gauging techniques to reduce stepping but also allow the passage of larger vehicles. Tamara Gordillo is a qualified Electronic Engineer with over ten years of experience in a wide range of industries across a range of systems including several years researching and developing innovative solutions to secure a patent. 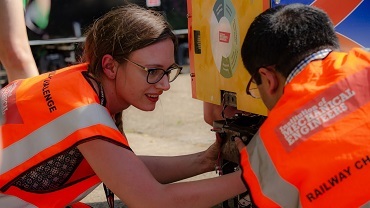 Over the past years she has been leading an engineering project to introduce a standard PTI mitigation solution that could be implemented in any LU platform independent the type of rolling stock or signalling system. 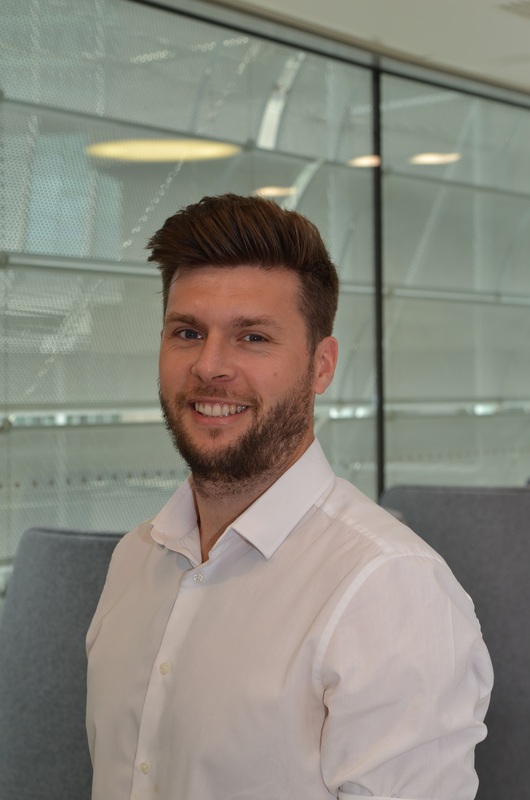 Toby Goodwin was the designer and Project Engineer of the Green Lane behavioural change trial at Kings Cross station in 2017, which aimed to reduce dwell times and improve safety through introducing a novel crowd control method on the Victoria line platform. 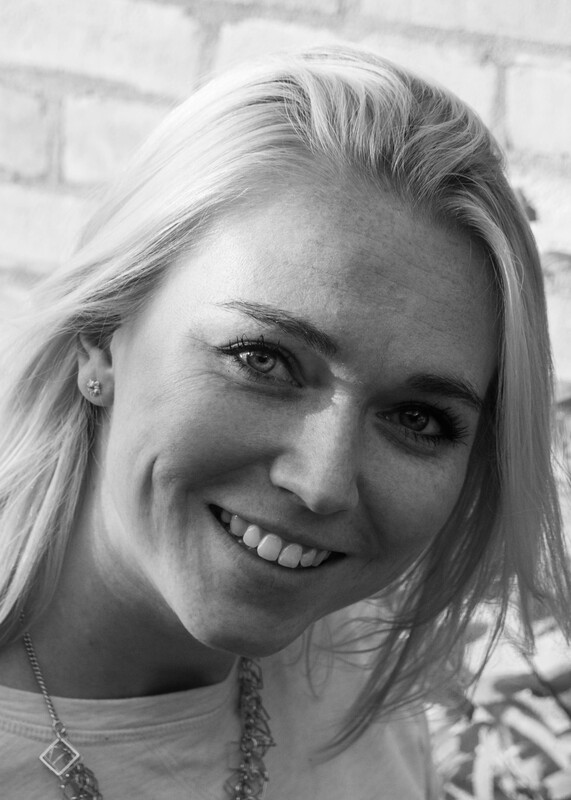 With 18 years of TfL engineering experience in Train Systems Performance and Human Factors, Toby now works in the Business and Digital - Research and Development team, running stakeholder design sprints to develop and trial innovative solutions to key transport challenges. 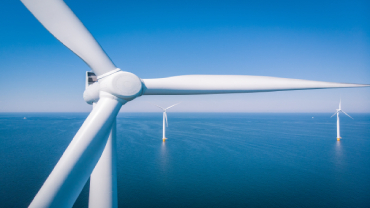 This seminar will address the innovation needs in Operations and Maintenance of Offshore Wind and the potential for Robotics and Autonomous Systems to address these.